Z-Licious Games, LLC was founded in 2013 by Zach DeStefano, a Malvern Prep high school freshman at the time, with a focus on producing games that mesh retro arcade styling with modern technology for iOS and Android mobile platforms. 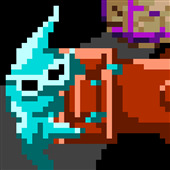 The company's products include 8-Bit Beatdown, a pixelated platform-based game using phone and tablet motion controls; Duality, a simple monochrome game requiring players to manipulate two objects at once; Retro Miner , a scrolling ore-mining game featuring in-app purchases where players can manage their budgets and upgrade their ships; and its newest release, Get Off My Planet, a fast-paced game about dodging obstacles. All games are available in both the Apple and Google Play stores, having received more than 140,000 downloads from over 150 countries. Z-Licious Games, LLC is based in Exton, Pennsylvania. Click the icons below or one of the buttons above to explore the games. Get Off My Planet has launched in the iOS and Google Play stores. Click here for the press release. Title Rights to Tiny Miner sold, relaunched as Retro Miner. Click here for press release. Retro Miner (formerly Tiny Miner) was reviewed by appPicker.com. Find out what they had to say here. Retro Miner (formerly Tiny Miner) was given a 4.5 / 5 star review on iOSAppSpy. Click here for the review.